Dog the Bounty Hunter fans are about to get an inside look at Beth Chapman’s cancer battle. A two-hour special, titled Dog and Beth: Fight of Their Lives, will air on November 27. A&E revealed more about the special episode in a press release. Check that out below. “A&E Network brings the world’s most famous bounty hunter, Duane “Dog” Chapman and his wife Beth, back to the network for an emotional two-hour special documenting Beth’s battle with throat cancer, it was announced today by Elaine Frontain Bryant, Executive Vice President and Head of Programming, A&E Network. Through tears and raw emotion, Dog and Beth open their hearts and lives to viewers like never before. Dog and Beth: Fight of Their Lives premieres on November 27th at 9pm ET/PT. Dog The Bounty Hunter launched in 2004 and aired on A&E for seven seasons across 200 episodes. During its run, the series became one of the most successful long-running franchises on television hitting record-breaking numbers across key demos. Dog and Beth: Fight of Their Lives is produced by Thinkfactory Media for A&E Networks. Executive producers for Thinkfactory Media are Leslie Greif, Adam Reed, Adam Freeman and Mayen Ma. 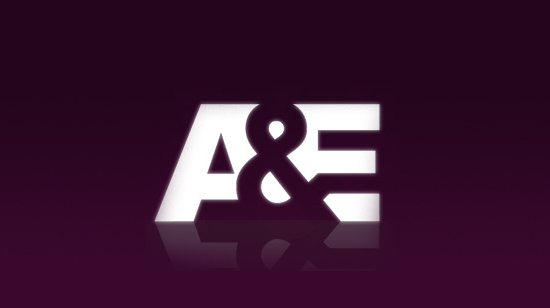 Executive producers for A&E are Elaine Frontain Bryant, Amy Savitsky and Brad Abramson. Will you check out this special? Tell us what you think. More about: A&E TV shows: canceled or renewed?, Dog the Bounty Hunter, Dog the Bounty Hunter: canceled or renewed? Shame on you A&E for having a racist convicted of murdering a Black man on your channel. The entire “Dog the bounty hunter” catalog should be taken out of your library, trash all the files, and empty it, so to never be shown again on A&E. I only watch A&E on tv.. I started watching Dog the Bounty Hunter because I enjoyed watching the taping done Hawaiian island, however the Chapman family and all its members are quite interesting show in itself. I hope A&E continues with this series and recreates a story, the aftermath of career changes. Every one loves the Chapman family so this show will work! Or focus on where are the fugitives now? Please consider the viewers suggestion! I LIKE THE SHOW I LIKE TO SEE A AGAIN ON TV PLEASE BETH GET WELL SOON. Of course I will be watching its really to bad that they have yet another up hill battle but I am sure that with Beth being the strong lady that she is she will show even cancer who’s boss having to see so many of my family members die from cancer I have all the faith in the world that Beth will take the bull by the horns, I will be praying for her and the family as they face this together. Our prayers are with u and your family.Stay strong.God is good. Being a Thyroid Cancer Survivor And Cancer free going on my eighth year this coming April 23rd, and working in Oncology for 12 yrs, I will definitely be watching this. My prayers go out to the Chapman family. Beth has a long road ahead of her but I truly believe in the power of prayer. I will absolutely be watching. I am a cervical cancer survivor and I sadly just lost my husband in October to lung cancer, I’m keeping you both in my prayers and your family as you deal with this difficult time.